Chris Patrick has been my agent and close friend for almost as long as I've been married. A few years ago, Chris became directly involved in my work as a writer. Through More Than Words Book Publishers, he helped publish I am Raven and the Seven Sacred Teachings. Both books quickly became Canadian Best Sellers. Since that time, MTW Books has published several other books, all works of art in a league of their own within the Canadian Publishing Industry. 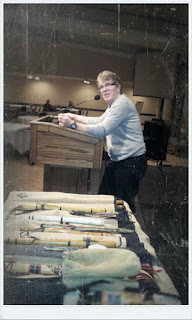 Chris sometimes joins me at a conferences where he sells a few books and meets my public. His time in the field always pays huge dividends. Last weekend in Regina was such an occasion. 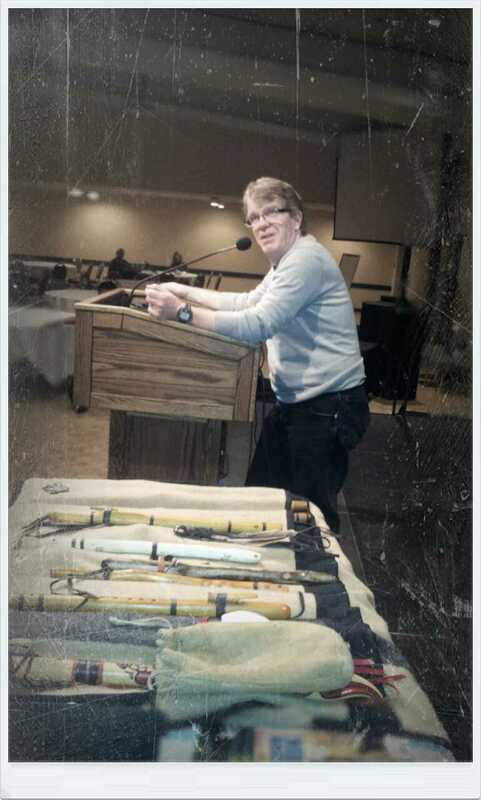 Chris flew in to attend the 13th annual Treaty Four Educational Conference. He sold books, made new contacts and rose to the occasion when asked if he would introduce me. I'm proud to introduce Chris to any and all who only know him as a warm, compassionate, friendly voice at the end of a long telephone line. Here is my partner, agent and extremely good friend Chris Patrick...doing what God meant him to do...doing what he does best...talking!